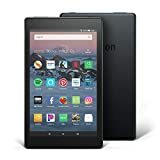 If you don't need any of the fancy iPad upgrades, like iCloud connectivity or its processing horsepower, or if you tend to use your devices for watching media instead of creating it, like most of the world, the Amazon Fire tablets are great alternatives. 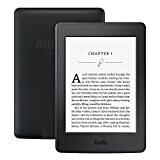 If your preference is to bathe yourself in the broad, warming world of literature, the features of Amazon's Kindle e-reader line should align with your needs. One final thought, if you're not sure which Amazon tablet or e-reader to pick, make sure to read through this guide. What's the Main Difference Between the Kindle and Fire? How Much Do Amazon Tablets Cost? What Is the Kid's Edition? It may be somewhat controversial to include both the Fire and the Kindle as tablets, but that controversy would not be grounded in facts. 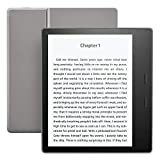 Kindles, while lacking the ability to stream video, access the internet, run some applications, and are both portable and rectangular, which fits most modern definitions of a tablet. So, both the Fire tablet and Kindle e-reader will be reviewed here. Their intended use is where their widest disparity lies. The Fire is an entertainment device. 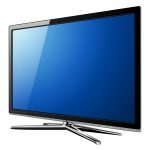 Through it, you can stream movies and TV shows from Amazon Prime, Netflix, HBO, or any number of streaming video apps (except for YouTube due to a lack of corporate cooperation between the involved parent companies) on a colorful, high-definition screen. You'll also be able to listen to music, utilize Alexa (Amazon's virtual personal assistant), surf the internet, and buy stuff off Amazon with extreme ease. The Fire's operating system, dubbed FireOS, is an Amazon-created version of Google's Android operating system, although with tight restrictions over available apps, especially when it comes to Google-specific apps. The Kindle, though, is designed for reading e-books and little else. It uses e-ink to make the screen less straining on your eyes by simulating how the text would appear on a physical piece of paper. You'll have internet access to download your books from Amazon or your local library but browsing the web should only be considered as a last resort. Because the device is low-powered, you'll be able to read off your Kindle for weeks before needing to recharge. The Fire is available in three different screen sizes, but each screen size pairs with varying internal storage sizes. 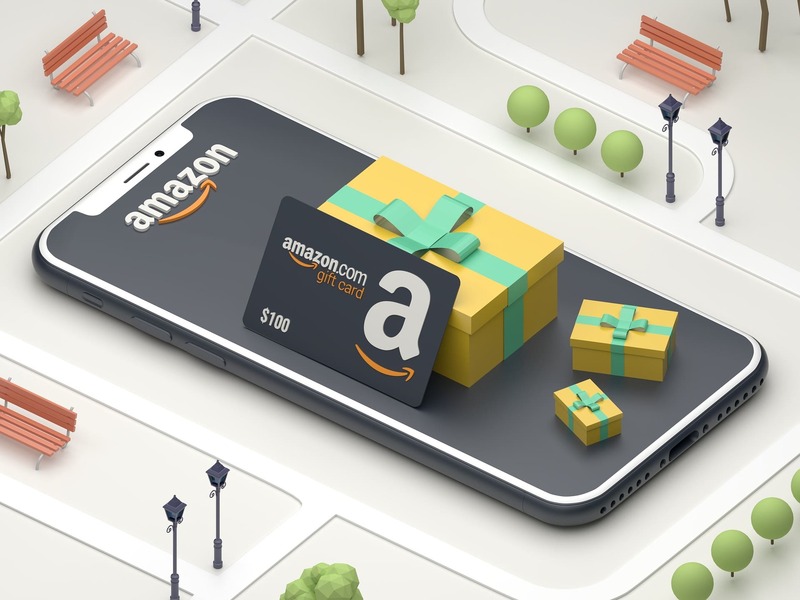 Further complicating things, Amazon offers Kids Editions of each screen size, which includes added benefits that we'll describe in more detail later in this guide. The Kids Editions cost more and are only available with the highest internal storage option at each screen size (so, the Fire 7 Kids Edition comes with 16 GB). One last pricing wrinkle, Amazon offers the ability to select whether you'd like to include "special offers" when purchasing a Fire or Kindle. By choosing this option, you'll receive personalized advertising as your screen saver or at the bottom of your screen when browsing books, and in exchange, you'll receive a slight discount. (The prices listed above are with the special offers option turned on). If you'd prefer not to have these ads, you should expect to pay $20 more for each Kindle model and $15 more for each Fire tablet variety. Additional parental controls, like limiting screen time and encouraging the use of educational apps before game play. 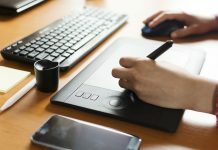 To ensure a well-rounded approach when examining each Amazon tablet, we compiled reviews from individuals and websites; then we compared them to our notes. We took into account the purpose of each device so that Fire tablets will be compared among like products, and the same will be done with Kindle e-readers. The base 16 GB version with special offers, the Fire 8 HD would have to be almost unworkable or twice as expensive not to be of value. 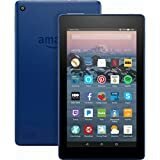 Instead, not only will you be more than happy shelling out that kind of coin for this tablet, Amazon often runs sales and deals that can get the price lower, meaning you'd be able to buy six of them and still pay less than one iPad. Amazon developed a new feature within the past couple of months that makes the Fire 8 HD an even better value. For an additional fee you can purchase the Show Mode charging dock, which turns the tablet into something akin to their Echo Show smart display. The dock also charges the device and enables a full-screen mode, so the screen is visible even from across the room. This makes the Fire 8 HD a perfect bedside table or kitchen accessory, capable of handling HD video, wake up alarms, and recipe recitation with intuitive ease. The dock is only available for this model of Fire tablet. 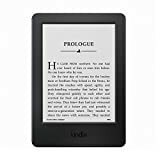 Widely regarded as not just the best Amazon e-reader, but the best one available from any company, the Kindle Paperwhite is a pure reading machine. Utilizing e-ink technology, four built-in LED lights, and a glare-free display, this device is easy on the eyes and capable of holding a library's worth of books in a body slim, and that is light enough to be held comfortably in one hand. 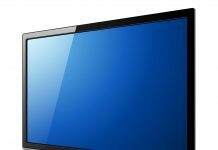 Now, for those of you seeking out the largest value, it might seem confusing why anyone would spend a lot for a device with a black-and-white display indicating a narrow purpose when you can pay an almost the same amount or a bit higher and get a high-def media device like the Fire 8 HD. But, while the Fire tablet does many things well, it's not the best in any single feature. The Kindle Paperwhite, though, focuses on its specific purpose and keeps on improving. 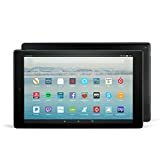 Considering what a fantastic deal the Fire 8 HD is, it's hard to imagine Amazon offering an even less expensive tablet. However, there the Fire 7 sits, containing most of the features of its slightly more expensive sibling. The big difference is performance and screen quality. While the Fire 8 HD offers eight inches of high-def screen, the Fire 7 operates with less RAM and a non-HD screen. This means the display will not be as crisp as you would hope, and you will suffer through some frozen screens and stuttering video. Still, if you're not tasking it with memory-intensive apps, or if you're looking to purchase your child their first tablet, the Fire 7 makes sense as an option. That is especially true if you can catch it during an Amazon sale, which can sometimes lower the price to less than $35 for the 8 GB version. We started off the review of the Fire 8 HD by saying that it would have to cost twice as much not to be considered a value. While the screen is better and the processor is a tick faster than the smaller models, you lose two hours of battery life with the Fire 10 HD. Otherwise, the specs are pretty similar. Due to the not-quite-doubling of the Fire 8 HD's price, you can ignore the Fire 10 HD, unless you require a 10-inch screen. The baseline Kindle model may be enticing to deal seekers. However, the more inexpensive Kindle lacks any built-in lighting, meaning you'll need an external light source when reading at night, and its screen resolution is worse by about half (300 pixels per inch, ppi, for the Paperwhite, but only 167 ppi for the cheaper model). While the additional fee may not be worth it for those comfortable with using a lamp, the lack of included lighting and the poor-quality screen ruin one of the main benefits of reading on an e-reader. That is, this device will lead to more eyestrain when compared to the Paperwhite, even though they share e-ink technology. However, if you've got the extra money to spend, go for it, but otherwise, the Paperwhite beats out the Oasis when it comes to bang for its buck. When it comes to the combination of price and performance, Amazon tablets are tough to beat, whether you're looking for a media device or an e-reader. This is true even if you don't buy our top picks – the Fire 8 HD or the Kindle Paperwhite. If you're looking to spend the least amount of money, it's hard to go wrong with the Fire 7 tablet, even though for $20 - $50 more, you'll get a better performing, and better looking tablet. The same goes for the baseline Kindle model – it's a solid choice, but for a little bit more you'll get vastly better results.